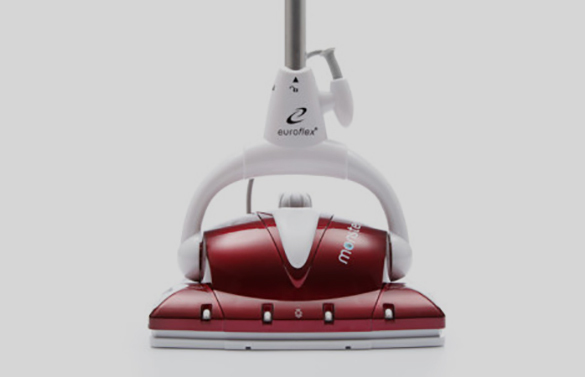 Euroflex has a range of floor steamers & steam cleaning products designed to simplify housework and change the way you clean forever! 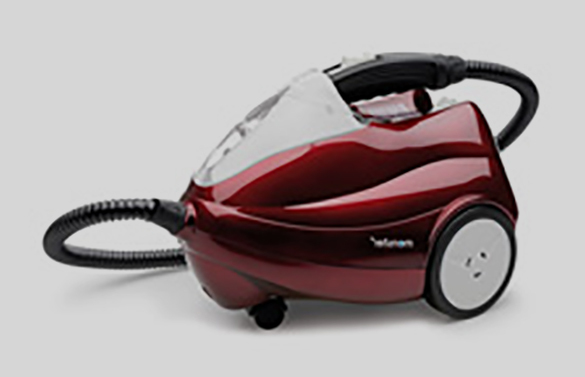 Our floor steamers (steam mops), steam cleaners and steam ironing products are stylishly designed, premium quality and offer exceptional performance when cleaning or ironing. Find us at these great Electrical Appliance Retailers! The NEW Monster Mop is the world’s only electric mop to feature a super heating hotplate base to melt dirt & grime from floor surfaces. Only 100ml of water per tank cleans with the perfect balance of heat & moisture. Floors dry quickly & streak free! Perfect to use on titles, timber and laminate surfaces. No dripping, no streaks. Super lightweight mop that’s so easy to use & store. Perfect for those hard to reach places! Cold mode / hot mode function. 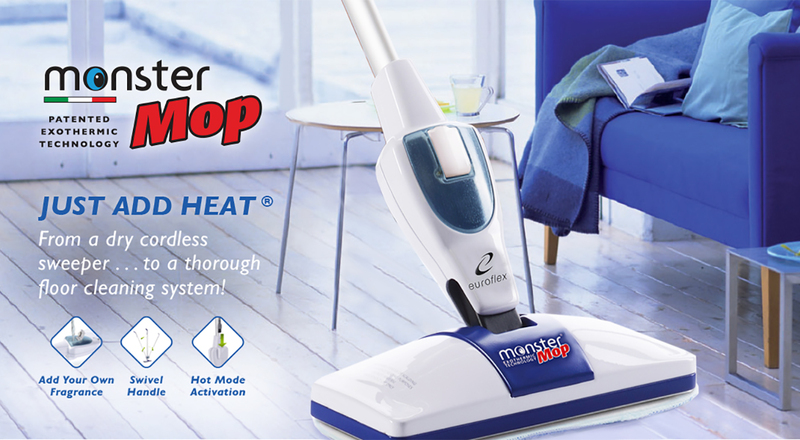 Use the NEW Monster Mop in cold mode to dust floors with specialised dusting wipes or plug in the electrical core for hot mode function to wash floors. Buy a Monster Mop today! Euroflex products are technologically advanced and unmatched in quality, design and performance. 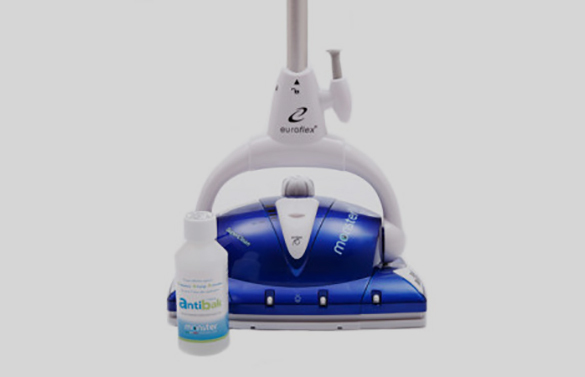 Our stylish steam and exothermic cleaning products are cost effective, environment and family friendly, and they have revolutionised the way Australian families clean their homes. Euroflex products are approved products under the Sensitive Choice program run by the Asthma Council Australia, to help people manage their respiratory problems and skin sensitivities. Euroflex products are also recommended prducts by the consumer watch-dog agency CHOICE, look for the CHOICE Recommended logo next to qualifying products. Monster Mop-Exothermic (MC1x5) Used on floorboards – Very happy with overall performance 9/10. 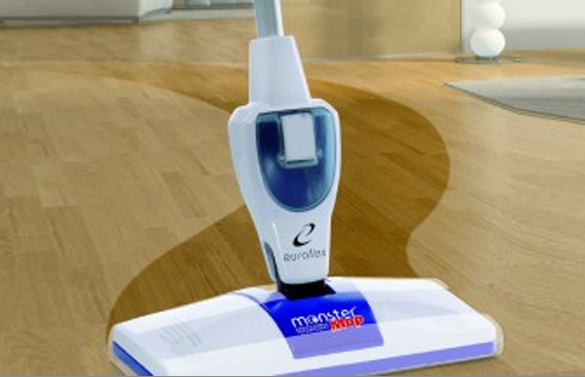 Monster Mop-Exothermic (MC1x5) A very good floor cleaner! I use on my floating floorboards weekly. 9/10. Monster Mop-Exothermic (MC1x5) I absolutely love it, it's perfect for my white tiles. 10/10.